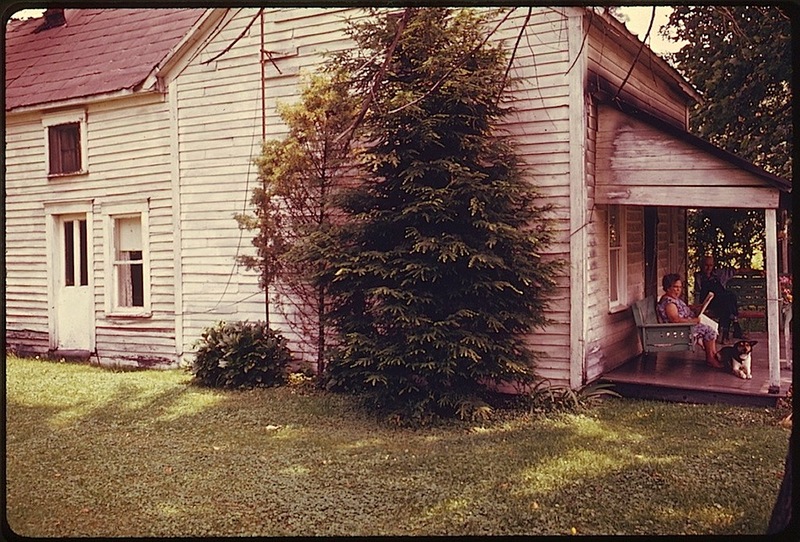 “Residents of an older home,* built in the 1850’s, take advantage of the summer weather to sit on their front porch off Route #800.” Barnesville, Ohio, July 1974. Below, the back porch. Both photos above were taken by Erik Calonius for DOCUMERICA, an early photography program of the U.S. Environmental Protection Agency (EPA). They are shown, with the original caption, via The U.S. National Archives Commons on flickr. From 1972 to 1977, the EPA hired over 100 photographers to “document subjects of environmental concern.” They created an archive of about 20,000 images. In addition to recording damage to the nation’s landscapes, the project captured “the era’s trends, fashions, problems, and achievements,” according to the Archives, which held an exhibit of the photos, “Searching for the Seventies,” in 2013. 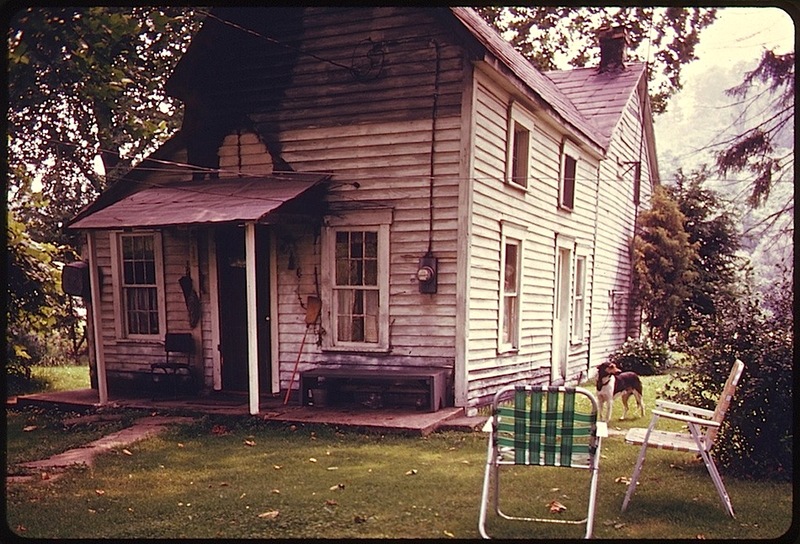 By 1974, the proliferation of porchless ranch-style houses, air-conditioning, and television had made sitting on a shady front porch in hot weather something of an anomaly for many Americans.